You may know him as Steve, Smootie, The Executive, El Jardinero, or just plain Steven Rue Adams - but any way you smash it, he is a funky bassman. 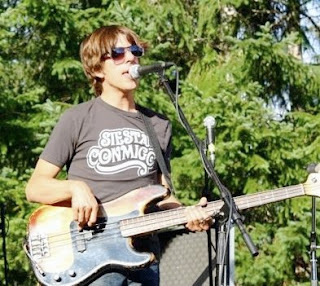 He currently plays with a vast number of talented bands, including but not limited to: ALO, Big Light, Newfangled Wasteland, Nicki Bluhm & the Gramblers, and Forest Sun. And he would like to siesta contigo. CAN I HAVE A BODY RUB? GLADLY!